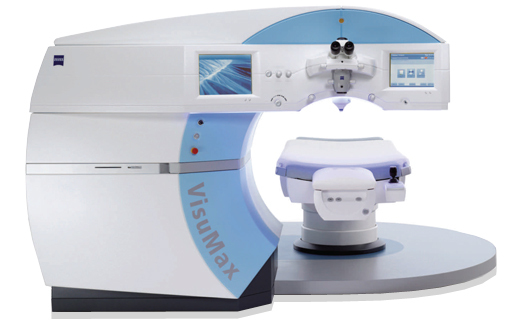 ReLEx SMILE LASER EYE Surgery is performed using Visumax machine by Carl Ziess making a small side incision in the cornea which measures less than 4 mm in length. The lenticule or a disc shaped tissue of the cornea is created to do the vision correction. The lenticule is then removed through the side incision. Once the lenticule is removed causing the changes in the cornea necessary to correct the refractive error in the eye. ReLEx SMILE Laser EYE SURGERY is most innovative approach for vision correction which is 100% blade free, flap free & pain-free treatment. ReLEx SMILE procedure offers maximum safety, precision & comfort for vision correction and has taken vision correction to the next level. Faster healing of cornea but visual recovery take more time compare to Lasik Surgery. The most likely being loss of suction during the lamellar cuts. In this event, the procedure can simply be aborted with no risk to the patient’s vision. Surgeon can plan procedure at a later date, or the patient can be switched to LASIK or PRK. 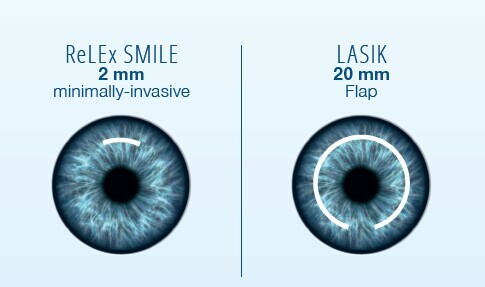 In the event that ReLEx SMILE patients do not achieve target refraction and require enhancement, options include PRK or, ideally, thin-flap LASIK. The latter is feasible so long as 1) the original ReLEx SMILE procedure was done with a thick enough cap to leave space for a new flap plus the ablation, 2) the maximum epithelial thickness is confirmed before making the new flap to avoid a buttonhole, and 3) the residual stromal thickness below the lenticule is above the standard LASIK safety limits (which is not necessary for a primary ReLEx SMILE procedure). Write us for Free Consultation & Discount!!! Centre for Relex Smile & Lasik Centre Mumbai is one of the best Refractive Surgeon having close to two decade of expertise in performing vision correction procedure & so far given smile to thousands of patient across the globe.